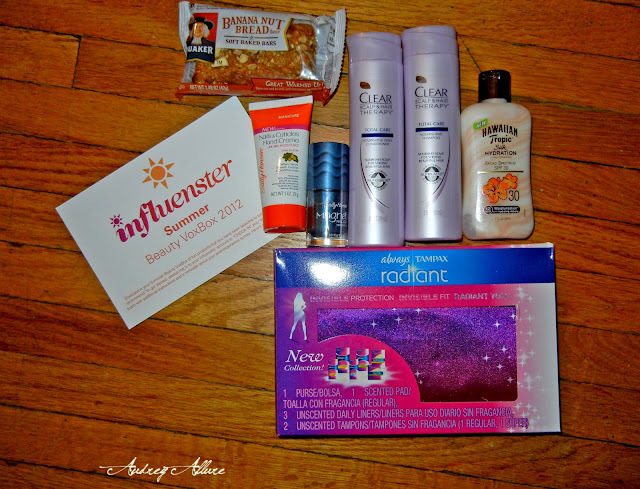 I received the Influenster Summer Beauty VoxBox not too long ago, and it was filled with tons of summer goodies. It included the Quaker Banana Nut Bread bar, Clear shampoo + condition, Hawaiian Tropic Silk Hydration sunscreen, Sally Hansen Magnetic nail color, Sally Hansen nails & cuticles hand cream, and a sampling of some Always/Tampax products. 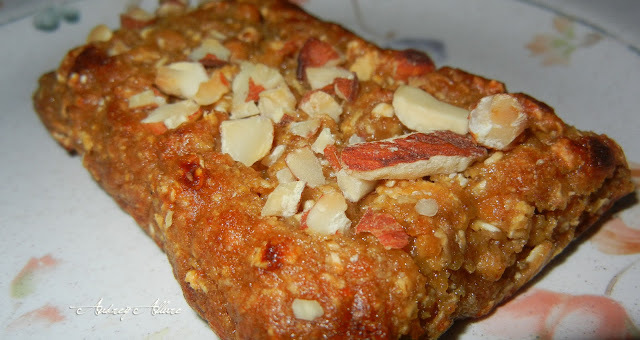 The banana nut bread was amazing, and definitely better than other breakfast bars I had in the past. This was perfectly moist and full of flavor. It was absolutely delicious! 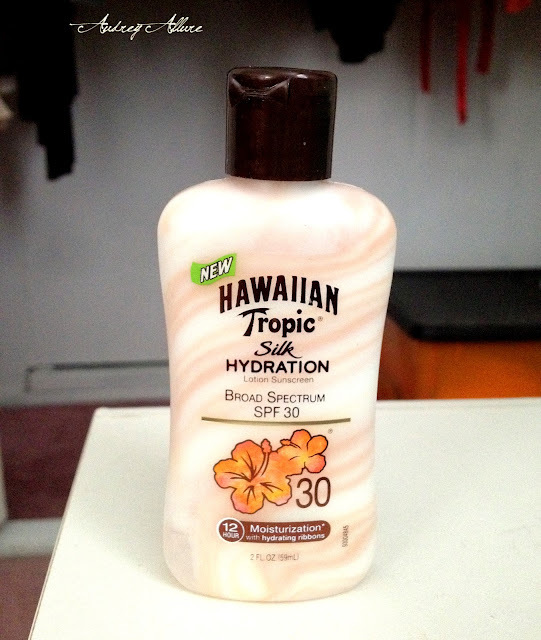 The Hawaiian Tropic Silk Hyrdration worked well & smelled great -- though I do love the smell of sunscreen, haha. The cuticle cream smelled so refreshing & citrusy - perfect for the summertime, and all year round really. I do wish I received a bigger bottle of it. The Magnetic Nail color took a little practice for me. To make the ripple, you need to apply one coat first then let dry. Then apply a thick coat and immediately hover that magnet attached to the cover above your nail for about 10 seconds. I didn't want the polish to dry out so I tried closing the bottle before hovering but it didn't work out so well - you could only see the ripple slightly. When they say immediately, it really is immediately. On my other hand, I would apply the 2nd think coat and then quickly hover right away, and it definitely worked out then. Overall, it's fairly easy to do and makes a cool effect. 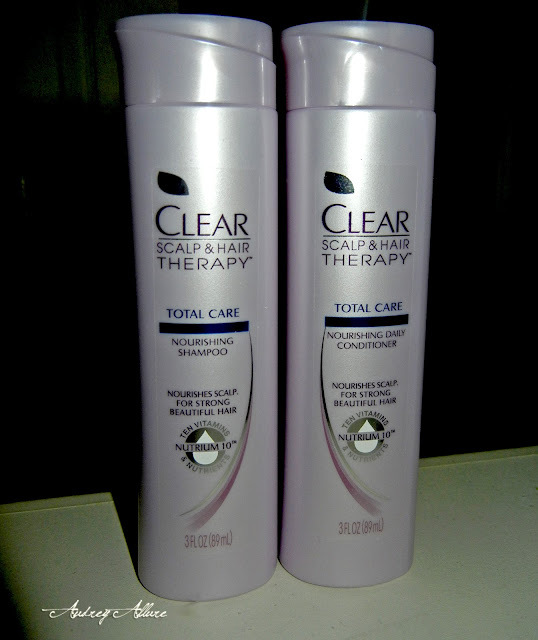 The Clear Scalp & Hair Therapy shampoo and conditioner worked great, and left my hair smooth, frizz-free (especially with all the humidity we're having lately), and smelling beautifully. It also left less knots for when I wake up the next morning after a night's sleep. 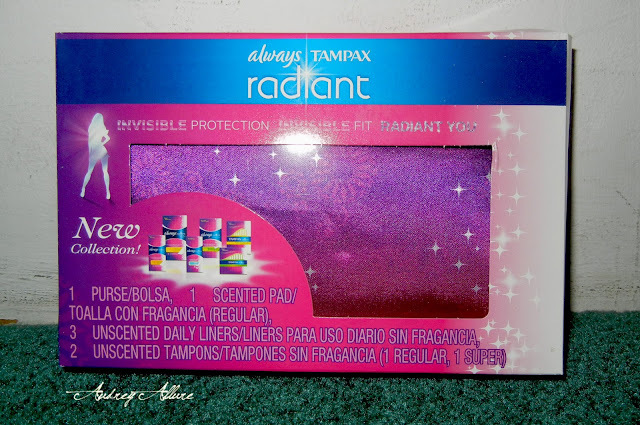 As for the Always/Tampax samples, I haven't had a chance to review them yet since the time hasn't come yet this month, but I'm an Always fan -- it's typically comfortable and useful in my experiences. Have you received the Influenster Summer Beauty VoxBox - what do you think of the products? If not, have you tried any of these products before? *I have not been paid for this post. All opinions are solely mine. 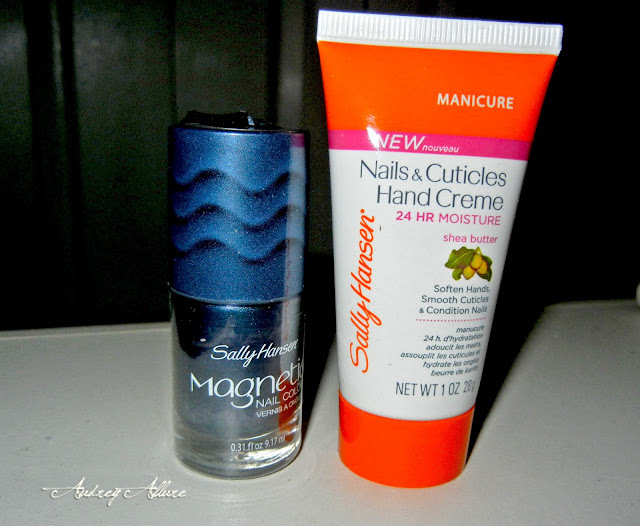 Products were gifted from Influenster and stated brands. That banana nut bread looks sooooo good! Hello Audrey! Thanks for your visit and comment. I'm following you on GFC. Would you like to follow me back?? BTW what a great box!! I love banana nut bread! This looks yummy delicious. I love influenster. They always introduce you to some great products. I participated last Christmas. Mmmm... the banana bread looks so yummy!!! The banana nut bread looks good!